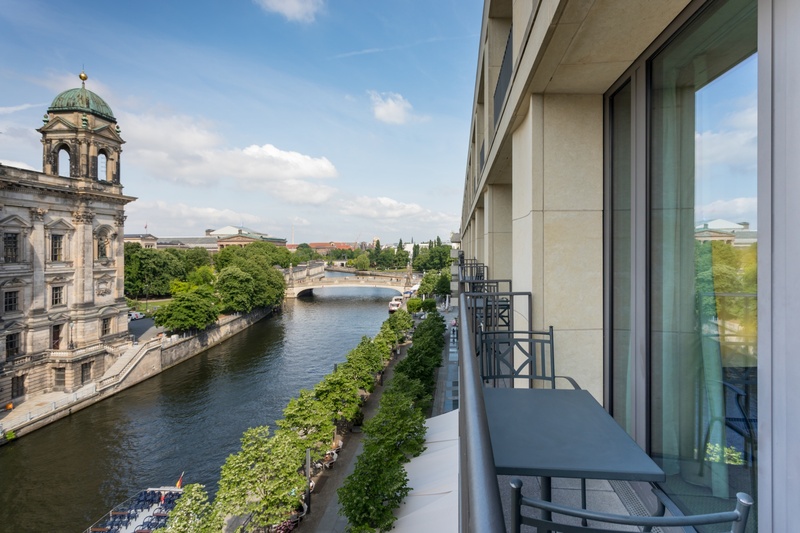 The capital city of Germany is the historical backdrop to many poignant moments of history, with numerous museums, monuments, galleries, and other points of interest to illustrate them. Due to its laidback lifestyle, friendly locals, and dynamic vibe, it’s no wonder why Berlin is one of Europe’s most visited cities. 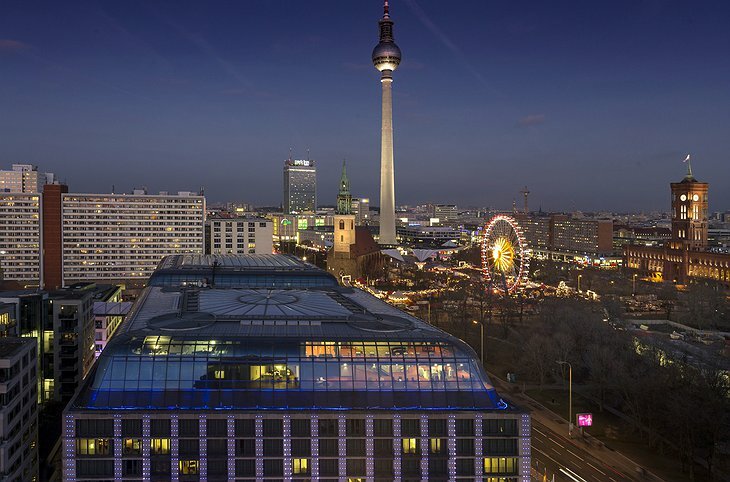 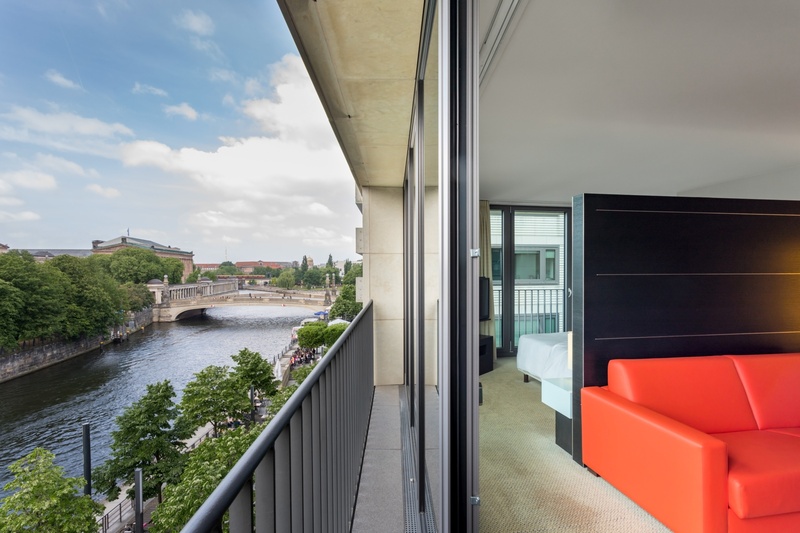 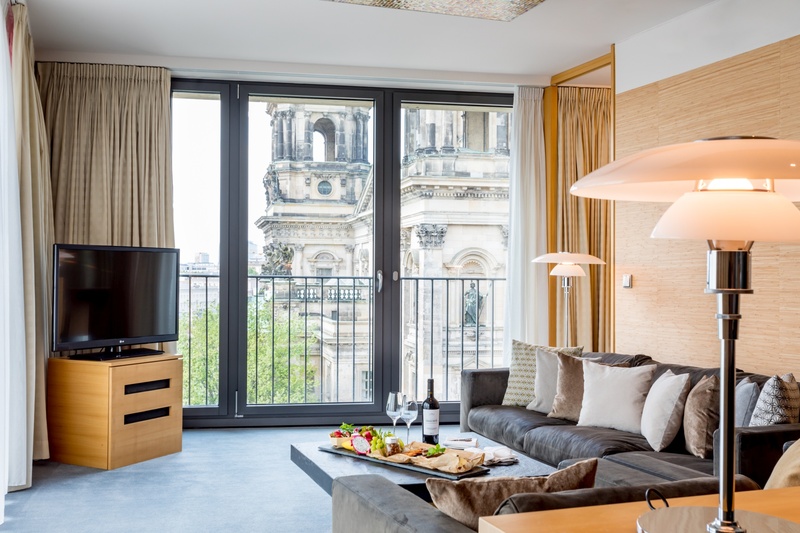 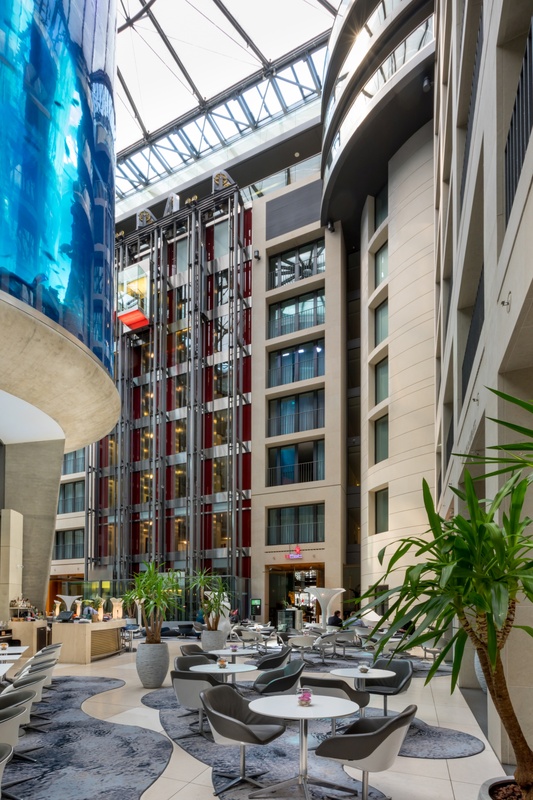 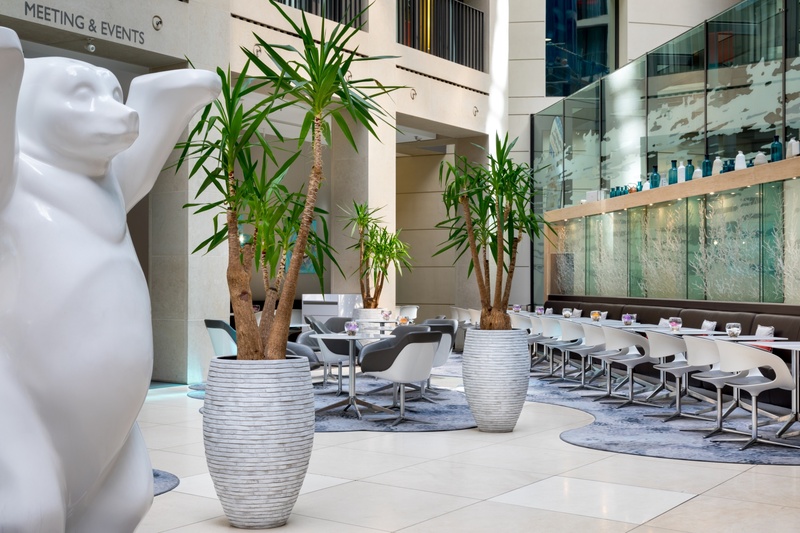 Situated on the banks of the River Spree, the Radisson Blu is nestled in the heart of Berlin, between Museum Island and Alexanderplatz. 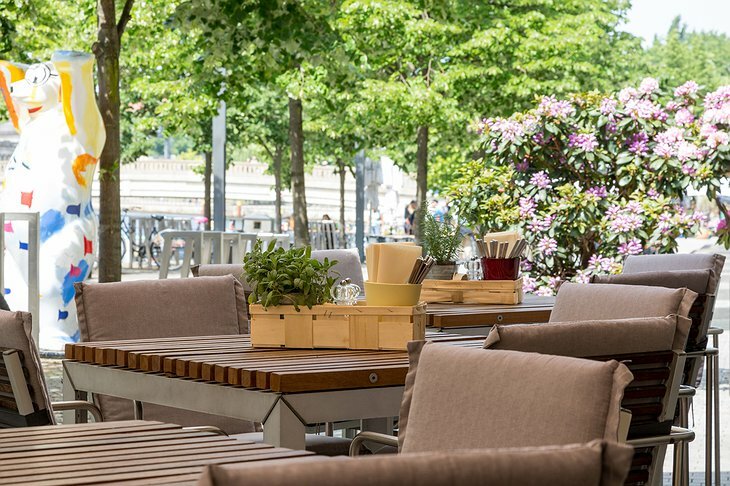 It provides a tranquil respite from the buzz of city life, yet is walking distance from many popular attractions and the transportation hub at Alexanderplatz. 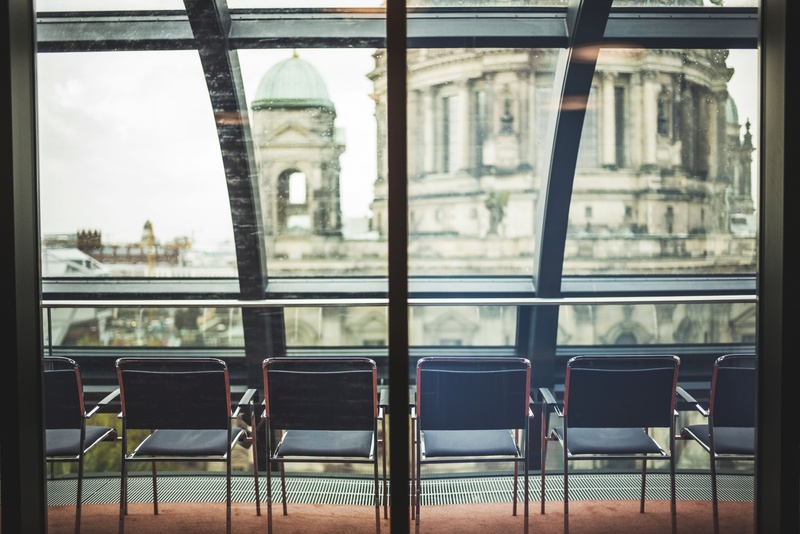 There is always something going on in the city, and the public transportation ensures that you can easily and efficiently navigate the city. 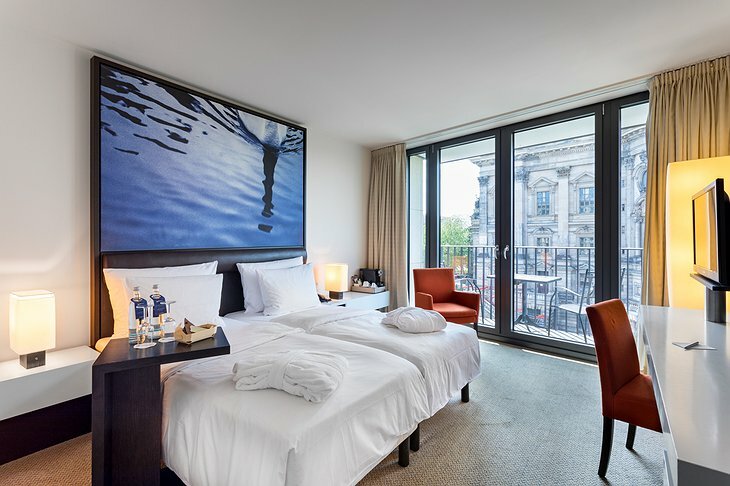 The hotel itself is a commentary of modern style that exudes class and sophistication. The centerpiece of the hotel is the impressive 25 meter high AquaDom which greets you upon arrival. As the world’s largest freestanding, cylindrical aquarium, it is home to over 100 species and 1,500 specimens of tropical fish. 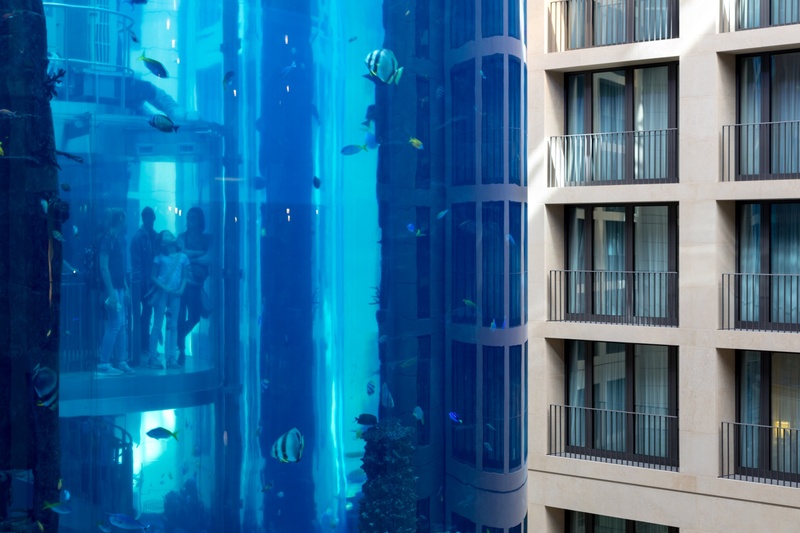 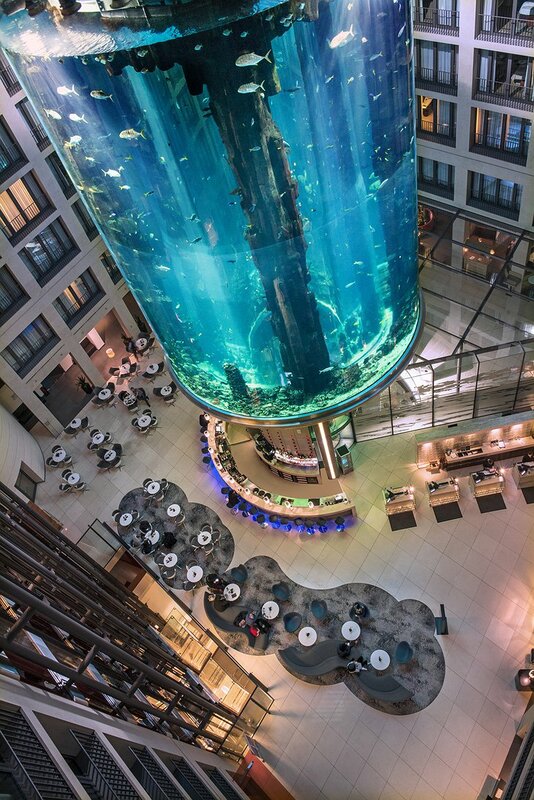 Access to the two-story glass elevated in the center of the aquarium is possible via SeaLife Berlin to get a closer look. 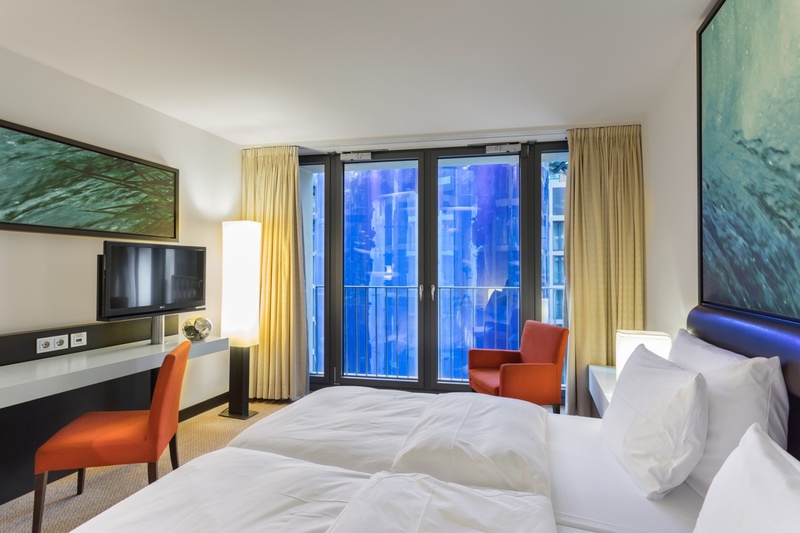 All 427 guestrooms mirror the tranquil and stylish ambience of the hotel. All your worries slip away as you unwind amid the chic décor and take in the stunning views of the skyline or AquaDom. 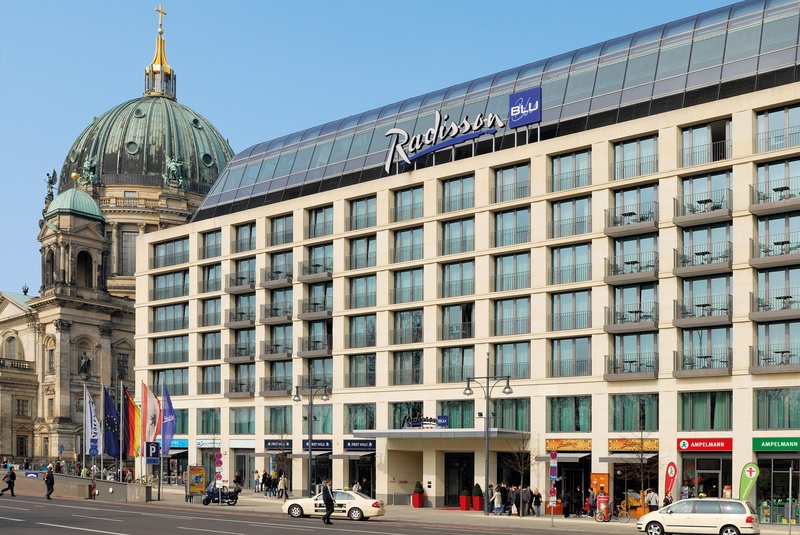 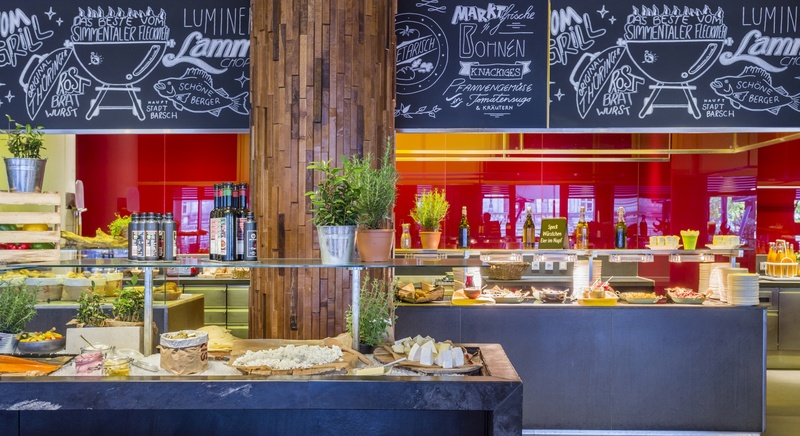 The sophisticated accommodations, outstanding service, and perfect location of the Radisson Blu set the perfect staging point to experience one of the most lively and interesting destinations in Europe.